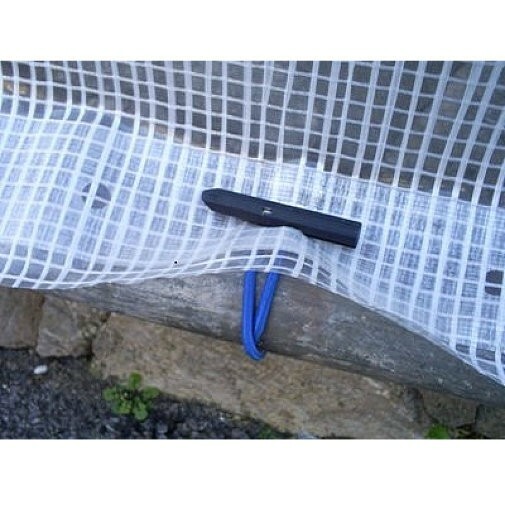 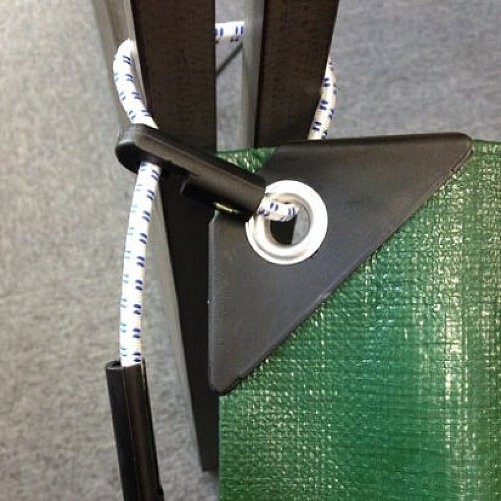 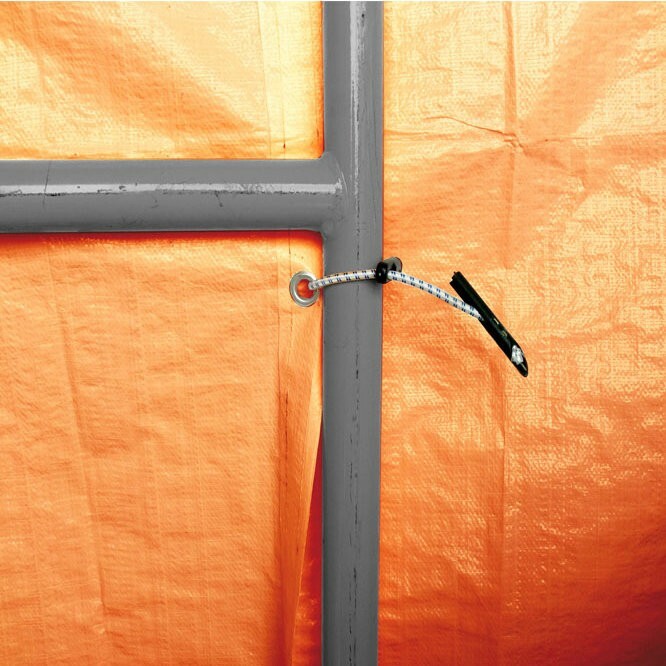 Commonly used for fixing scaffold sheeting but can also be used to tie tarpaulins down or to secure nets and netting. 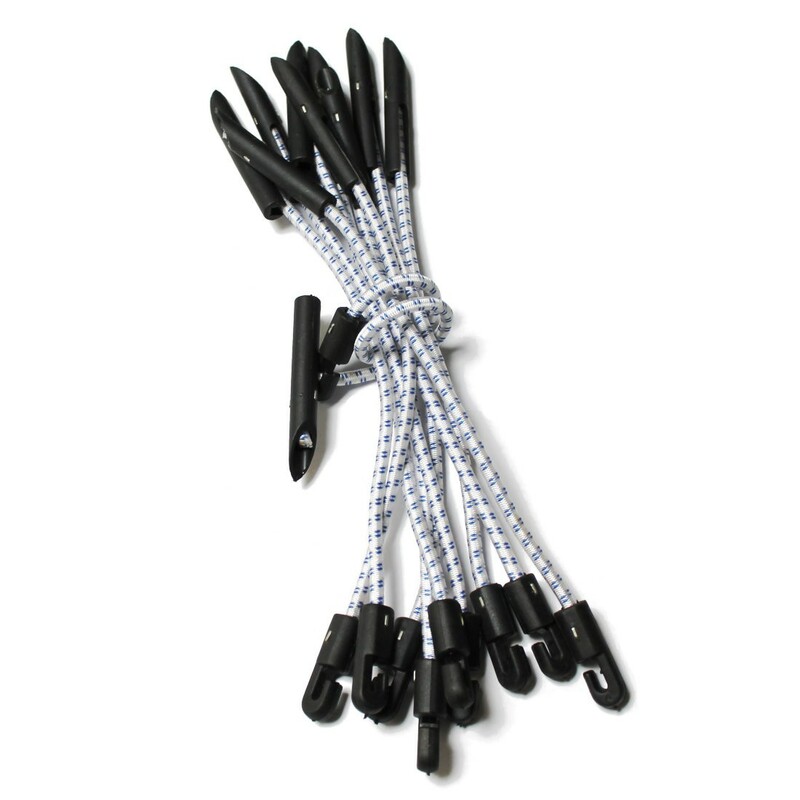 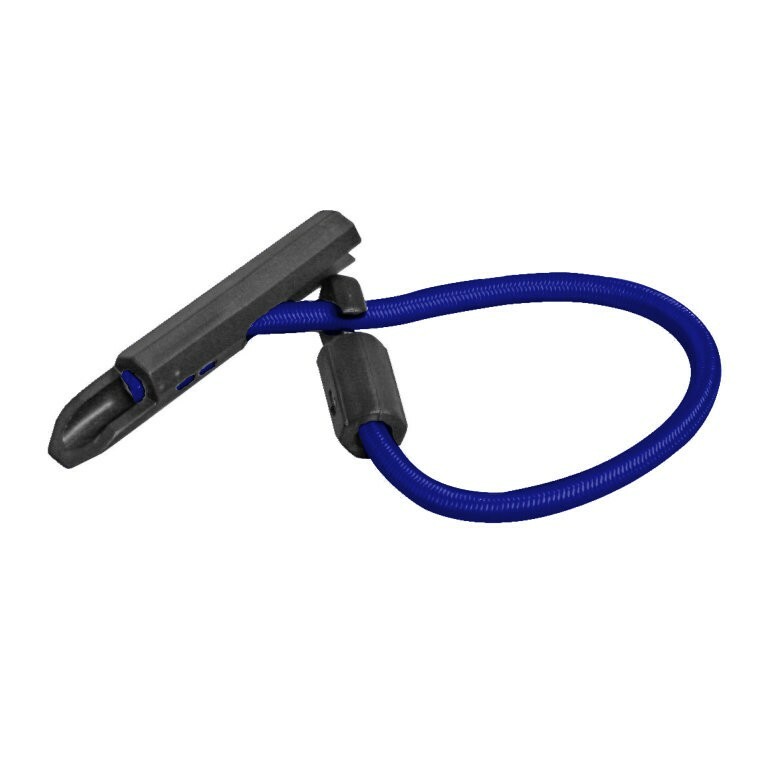 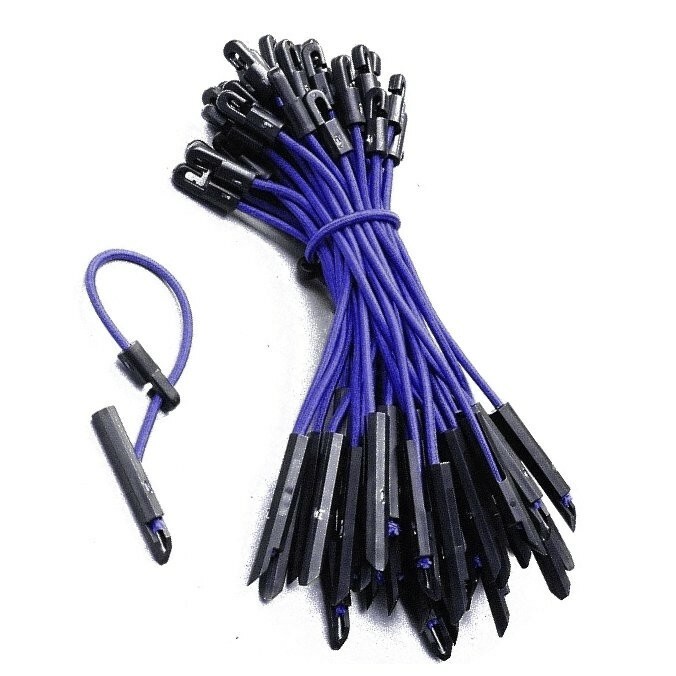 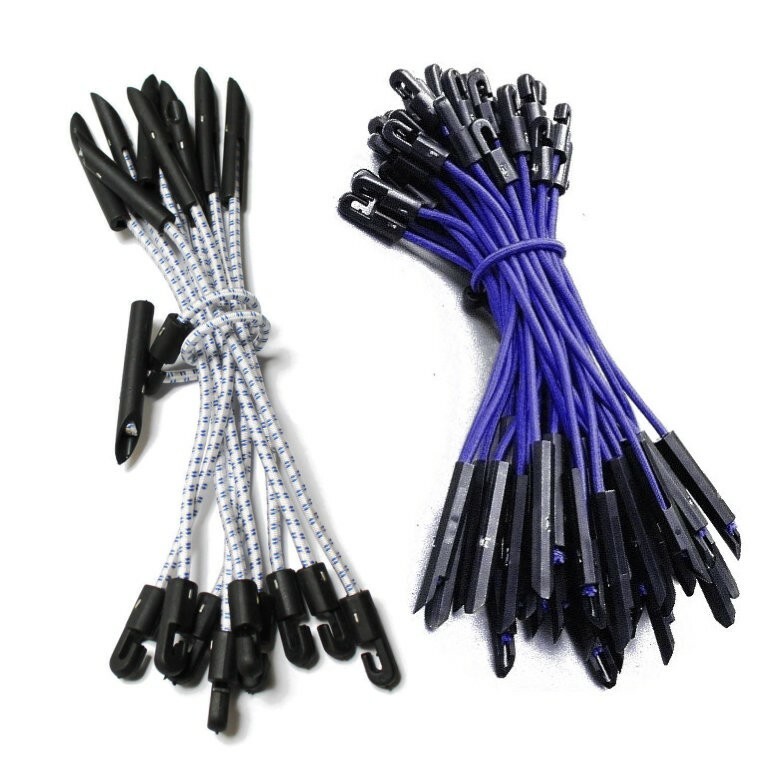 The total length of each toggle is approximately 30cm, with a total stretch of approximately 40cm. 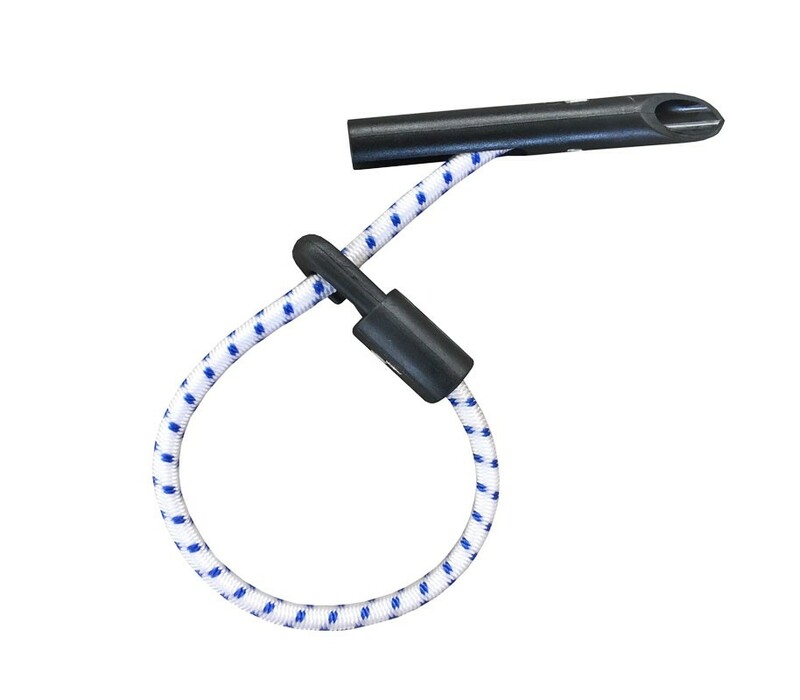 Will fit easily though 20mm eyelets but can be tricky to get through 12mm eyelets. 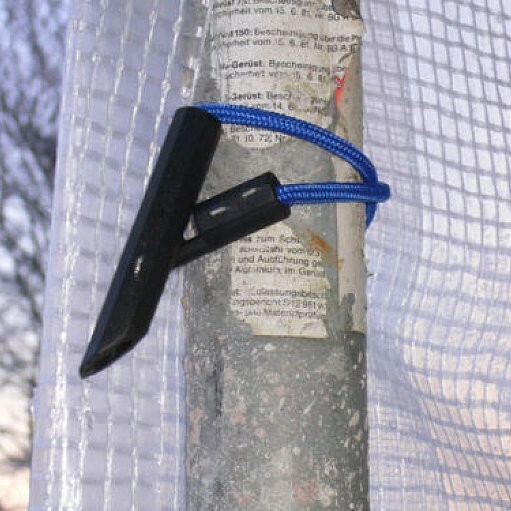 To use thread the pointed plastic toggle through an eyelet, wrap around a support, then hooked onto the elasticated shock cord to secure.